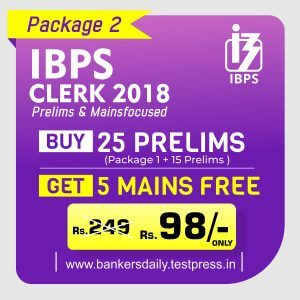 Daily Current Affairs ( November 25 & 26, 2018) like many other sections is inevitable and this also helps to score in the Banking awareness , Static GK and Financial Awareness sections. Remember, Banking Awareness and Static Awareness Questions are asked from the General Awareness section. This will also help you to ride your preparations for the forthcoming exams. 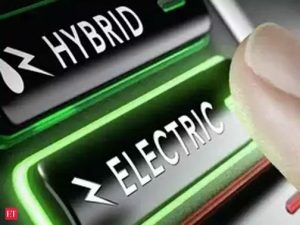 The Ministry of Finance has increased the outlay by Rs 100 crore to Rs 895 crore for the first phase of the Faster Adoption and Manufacturing of (Hybrid) and Electric Vehicles (FAME) India scheme to promote mass adoption of electric vehicles, having extended the scheme four times. 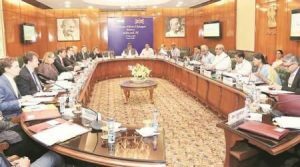 This is followed recommendation from the Expenditure Finance Committee (EFC) for an additional outlay of Rs 100 crore, over and above the existing approved outlay. The first phase was extended four times for six months each. The latest extension is in effect till March 2019 or till a notification for the second phase. 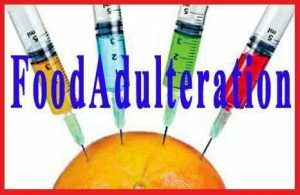 Maharashtra government has passed the bill to amend the anti-adulteration law to make it more stringent, prescribing life imprisonment and heavy penalty to curb food and milk adulteration. Due to the amendment, the adulteration offence will be cognizable and non-bailable. Ministry of Road Transport and Highways has notified the insertion of the item ‘Quadricycle’ as a ‘non-transport’ vehicle under the Motor Vehicles Act 1988. A Quadricycle is a vehicle of the size of a 3-wheeler but with 4 tyres and fully covered like a car. It has an engine like that of a 3-wheeler. 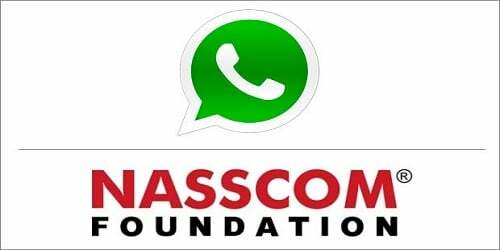 This makes it a cheap and safe mode of transport for last mile connectivity. Quadricycles were only allowed for transport usage under the Act, but now has been made usable for non-transport also. 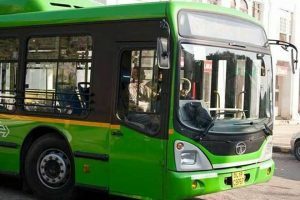 Delhi bus commuters will now be able to spot locations of cluster buses at intervals of 10 seconds with the help of Open Transit Data (OTD) which will be shared on a dedicated portal launched by the Delhi government. The OTD portal will incorporate multi-modal transport data feed in future, including those of Metro trains and last mile connectivity vehicles. Delhi becomes the first city in the country to open up transit data of city buses, that will provide static and real time data through the website – www.otd.delhi.gov.in. 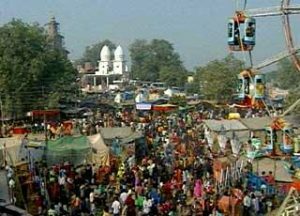 Jammu and Kashmir Governor Satya Pal Malik has inaugurated a week long ‘Jhiri Mela’ at village Jhiri in Jammu district. The annual fair is commemorated in the memory of the martyrdom of ‘Baba Jittoo’, a farmer who gave up his life about 500 years ago in protest against the oppressive demands of a land lord. The Airports Authority of India (AAI) has cancelled the UDAN (Ude Desh ka Aam Nagrik) licence of low-cost carrier Air Odisha for seven airports for its irregular flight services. 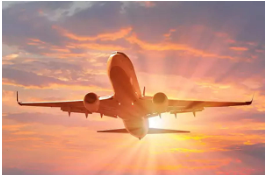 The AAI has cancelled the agreement with the air carrier for operating flights from and to seven airports – Jharsuguda, Raipur, Raigarh, Bilaspur, Ambikapur, Jagdalpur and Visakhapatnam. From November 20, they will not be permitted to operate from these seven airports. They have failed to operate the minimum 70 per cent of the scheduled flights from these airports within a period of three months. In an effort to promote tribal art and culture, a three-day-long Jangalmahal festival will be organised in the Kolkata city of West Bengal. 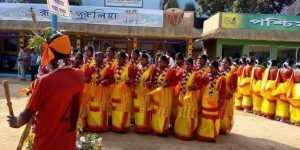 According to officials of Jangal Udyog, the NGO that has been organising the festival for the last three years, different folk songs and dances such as Tusu, Bhadu, Ahira and Jhumur will be performed by the locals of the Jangalmahal area. 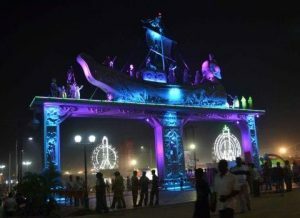 Odisha Finance and Excise minister Sashi Bhusan Behera, in the presence of three of his cabinet colleagues, inaugurated the Baliyatra festival in Odisha. 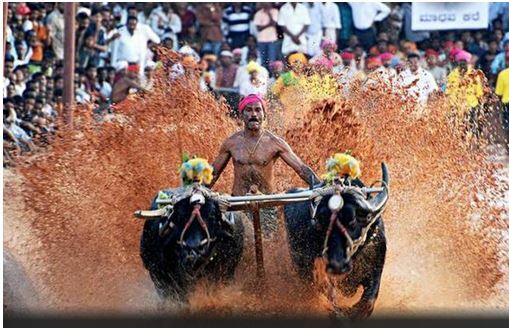 The festival, associated with the maritime glory of ancient Kalinga, is basically a trade and cultural fare that attracts revellers not only from state but from outside also. The Uttarakhand cabinet has ratified a proposal to rename the Jolly Grant airport in the state capital after late prime minister Atal Bihari Vajpayee. The Jolly Grant Airport, which is named after the area where it is situated, belongs to the Airport Authority of India (AAI). It was built in the year 1974. Known for its hand-woven carpets around the world, Bhadohi received a major boost as the government has extended the ‘export excellence’ tag to it. 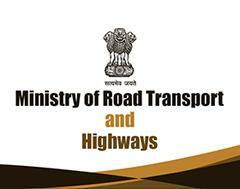 The status was granted by the Directorate General of Foreign Trade (DGFT), under the commerce ministry. Bhadohi, small township situated on the banks the river Ganges, will be the 37th town to get this status. 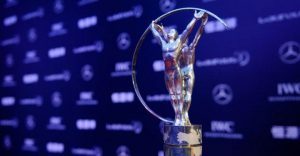 The 19th edition of the prestigious Laureus World Sports Awards will be held in Monaco on February 18, 2019. Considered as the ‘Oscars of sports’, the Laureus World Sports Awards celebrate global sporting achievements across the calendar year. Former India cricket captains Kapil Dev, Rahul Dravid and Sachin Tendulkar are members of the Laureus Academy. Last year, tennis great Roger Federer won the Laureus Sportsman of the Year award for a record fifth time, while Serena Williams won the Sportswoman of the Year recognition for the fourth time. India ’s economic growth will slow down somewhat but remain robust, at close to 7.50% in 2019 and 2020, the Organisation for Economic Cooperation and Development (OECD). India’s gross domestic product (GDP) grew 6.7% in 2017-18. OECD projects GDP at market prices to grow 7.3% in 2019 and 7.4% in 2020 from 7.5% in 2018. According to the 2017-18 annual report of Pradhan Mantri Mudra Yojana (PMMY), though NBFCs sanctioned only over Rs.27,000 crore of Mudra loans in FY18 against Rs.92,492.68 crore by public sector banks, their year-on-year growth was faster. In the financial year 2017-18, overall loans worth Rs 2.54 lakh crore were classified as Mudra loans. PMMY is a scheme launched in April 2015 for providing loans up to Rs.10 lakh to non-corporate, non-farm small/micro enterprises. AU Small Finance Bank was the top institution among SFBs with a sanction amount of Rs.4,614.4 crore to 117,000 borrowers. Among state-run banks, State Bank of India (SBI) with Rs.28,791 crore sanctions to 1.41 million accounts came first. It was followed by Canara Bank and Punjab National Bank (PNB) with Rs.7,665 crore and Rs.6,838 crore, respectively. Senior artist A. N. Patil was announced to be the recipient of the Kuncha Kala Tapasvi Award, in the category of Lifetime Achievement, instituted by the Chitrakala Shilpi D.V. Halbhavi National Memorial Trust in Dharwad, Karnataka. Bangladesh captain Shakib al Hasan has become the quickest to achieve the double of 3000 runs and 200 wickets in Test cricket when he took the wicket of West Indies opener Kieran Powell on the first session of the third day in the first Test at Chittagong. He got there in his 54th Test. He broke the record held by legendary England all-rounder Ian Botham, who achieved it in his 55th Test. The International Cricket Council (ICC) has announced that it has renamed the ICC World T20 as the ICC T20 World Cup. 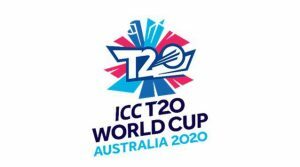 This means next editions of the events in 2020 in Australia will be known as the ICC Women’s T20 World Cup 2020 and the ICC Men’s T20 World Cup 2020. The renaming decision is aligned to the Global Cricket Strategy which will be launched in early 2019. 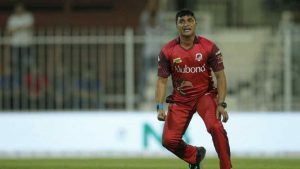 47-year-old Spinner Pravin Tambe has achieved the best figures in the T10 League history as he bagged a hat-trick en route 5/15 for the Sindhis against Kerala Knights held in United Arab Emirates (UAE). The 2018 ICC Women’s World Twenty20 was hosted in the West Indies from 9 to 24 November 2018, during the 2018–19 international cricket season. It was the sixth edition of the ICC Women’s T20 World Cup, and the second hosted by the West Indies (after the 2010 edition). Harmanpreet Kaur was the Captain of Indian team in ICC Women’s World T20. India’s Men Cricket Team captain Virat Kohli launched “Jersey knows no gender” campaign to support women’s team in the event. 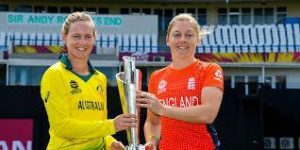 India’s quest for a maiden ICC Women’s World T20 title ended with an eight-wicket defeat against England in the Semi-Finals of the ICC Women’s World T20. 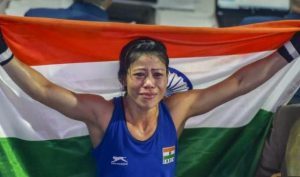 International Boxing Association (AIBA) has organized Women’s World Boxing Championship 2018 at Indira Gandhi Sport Complex in New Delhi. 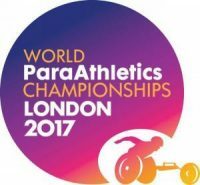 China topped the medal tally with 5 medals including 4 gold, 1 Silver and Chinese Taipei ranked at second position with 2 medals (2 Gold). India ended the Championship at 3rd position with 4 medals including 1 gold, 1 silver and 2 bronze. 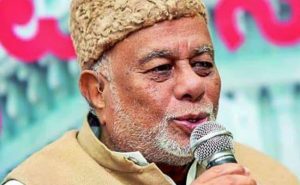 Veteran Congress leader and former railway minister CK Jaffer Sharief passed away at the age of 85. A seven-time Lok Sabha member, Sharief, started his career under late Karnataka CM S Nijalingappa and became the railway minister during 1991 to 1995 in PV Narasimha Rao’s cabinet. 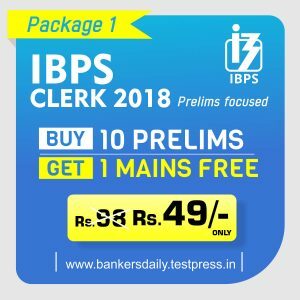 Aspirants can check the Whole planner of IBPS CLERK Prelims Exam 2018 from the below given link. Now the Font Has been changed.